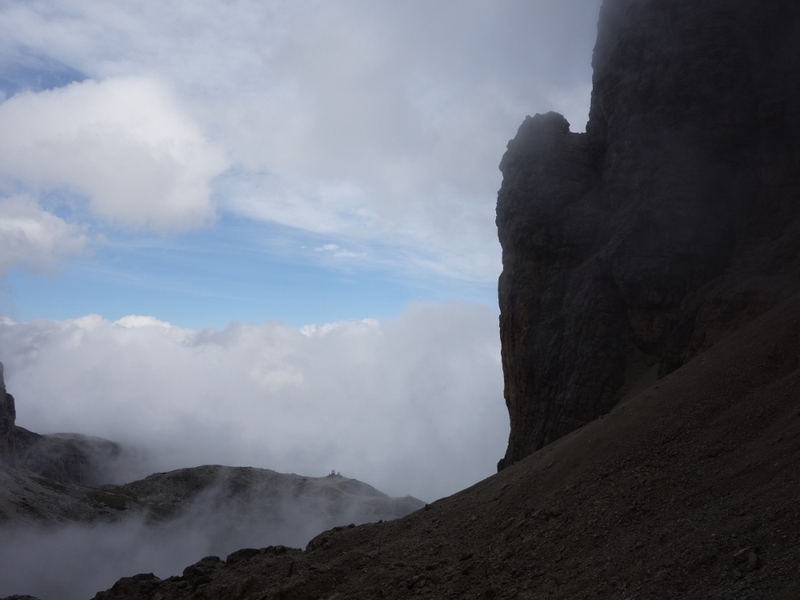 Looming above us out of the mist in our rocky amphitheatre are the Sasso delle Nove and Sasso delle Dieci. 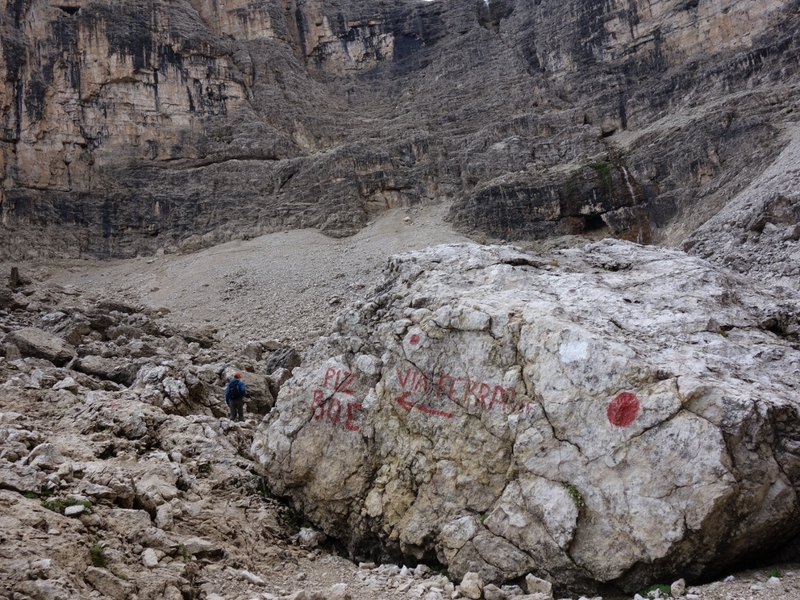 As we near our target, large boulders have been painted with the vai ferrata name to direct us. 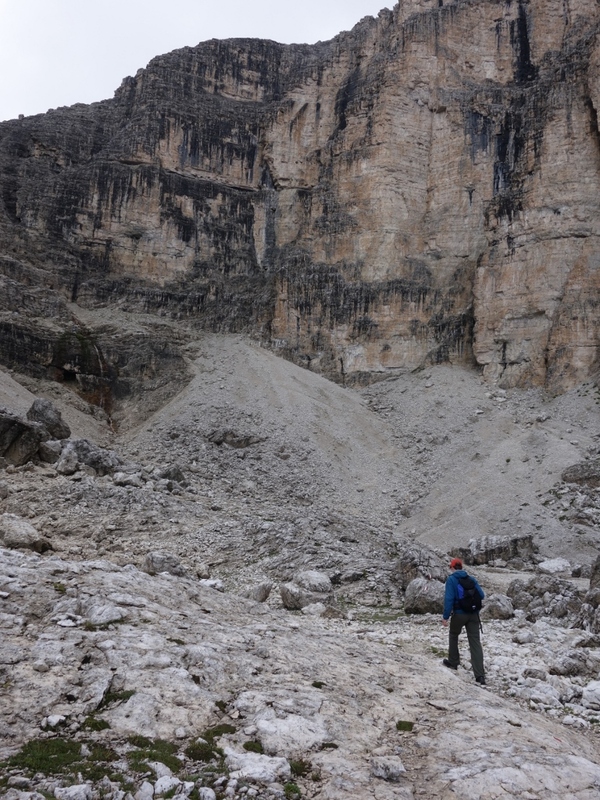 The area around the base of the via ferrata is strewn with smashed boulders and much of the via ferrata structure is bent and bashed. But never mind, lets get our gear on at the foot of the waterfall in the rain and go for it. 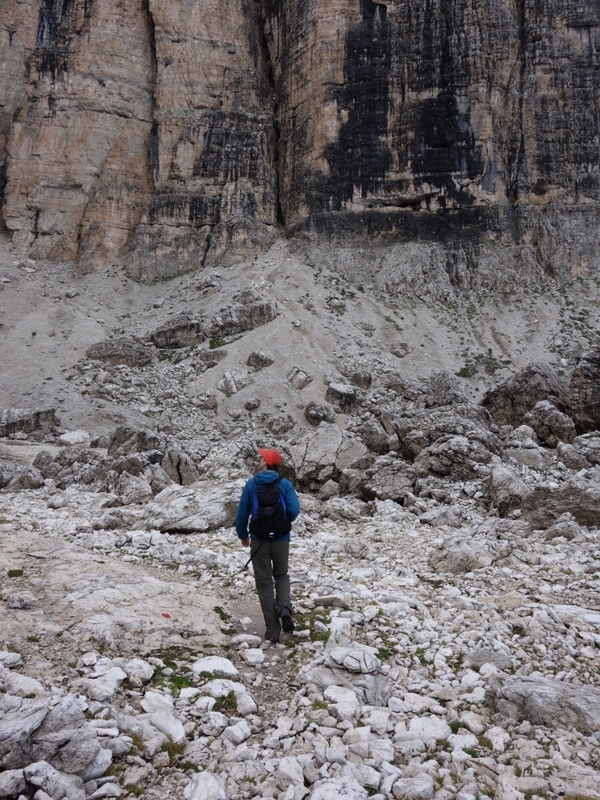 Never mind either that we don’t know exactly what happens on the wild and desolate plateau at the top of the ferrata, or how to return to the hut, or that it will soon be dark, but the hut warden has told us to follow the spots, so we should be fine. 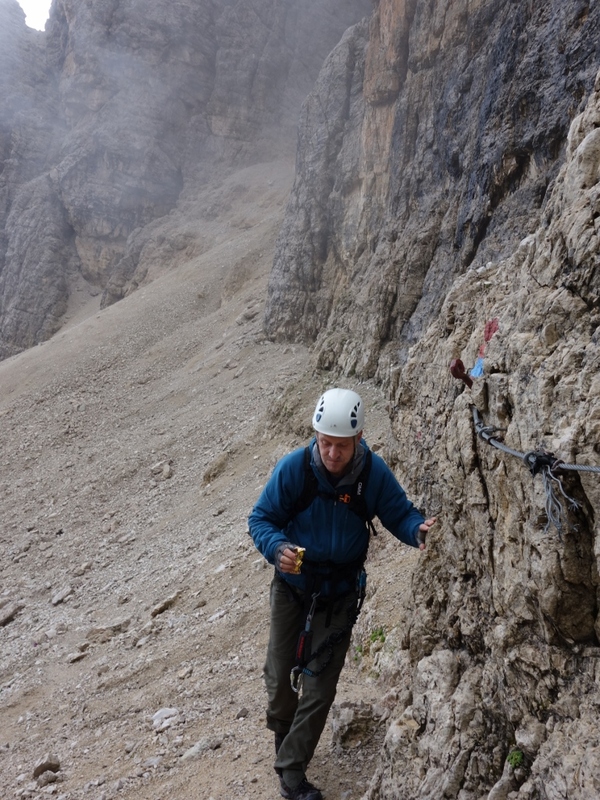 At the head of the amphitheatre, the start of the via ferrata is in front of us.